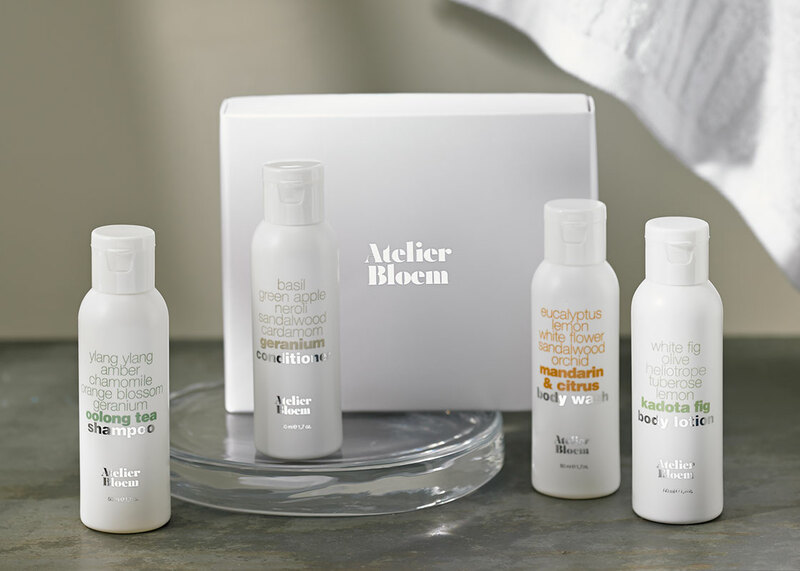 Sign Up and Save with our Atelier Bloem Travel Gift Set Subscription! 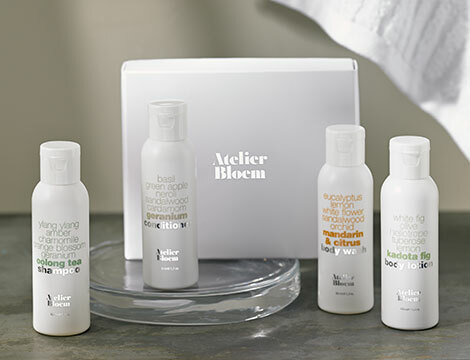 You will receive Kimpton Hotel's Atelier Bloem Travel Gift Set every month. You may cancel at any time. Riding bikes through the Amsterdam flower market, skincare gurus Matthew Malin and Andrew Goetz were struck by inspiration. Their brainchild? 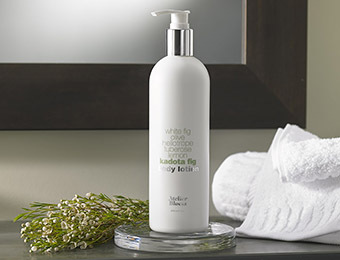 A bath and body collection called Atelier Bloem (bloem means flower in Dutch) created exclusively for Kimpton hotels. 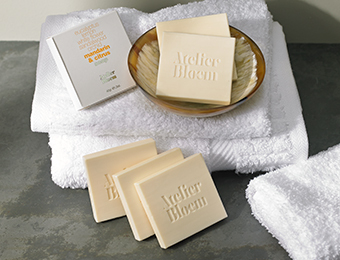 Now you can enjoy the full line of Atelier Bloem. This set of four travel-size products includes oolong tea shampoo, geranium conditioner, kadota fig body lotion and mandarin and citrus body wash. Pack them in your luggage on the way to the Netherlands if you like. We hear there’s a muse hanging around a certain flower market there. Box measures 4.75" x 4" x 1.25"